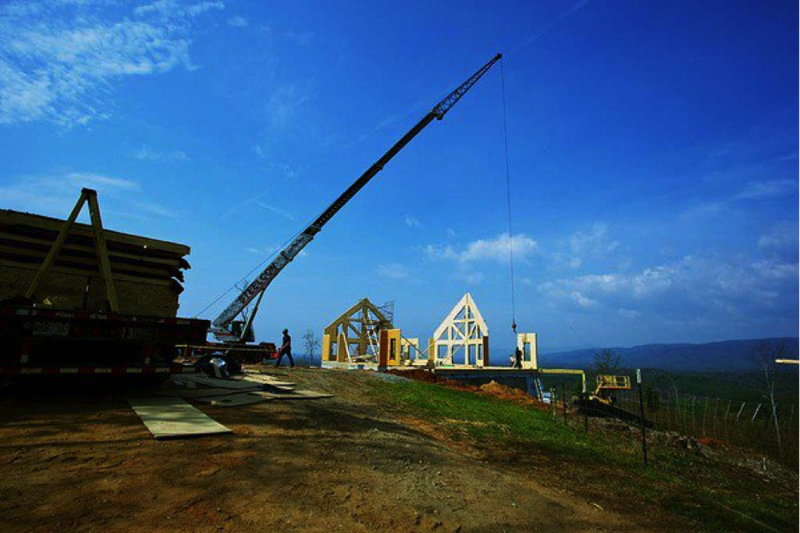 While Panelized home building is not necessarily a “new” way of building, many new homeowners are choosing this direction more than ever. 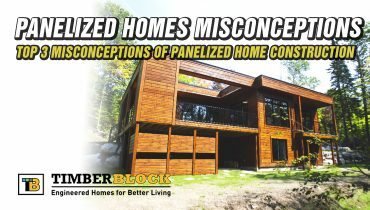 Here’s a look at why a panelized home may be the right choice for you. Not only is panelized construction a faster, more efficient way of building, it’s also a “healthier” option. 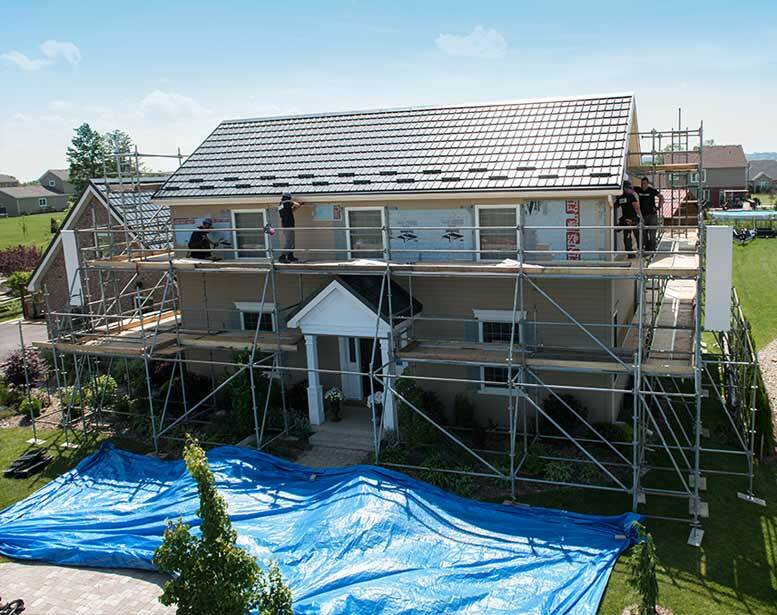 Panelized building often results in a higher level of energy efficiency, sustainability and comfort. In addition, Timber Block’s building system takes this even further. 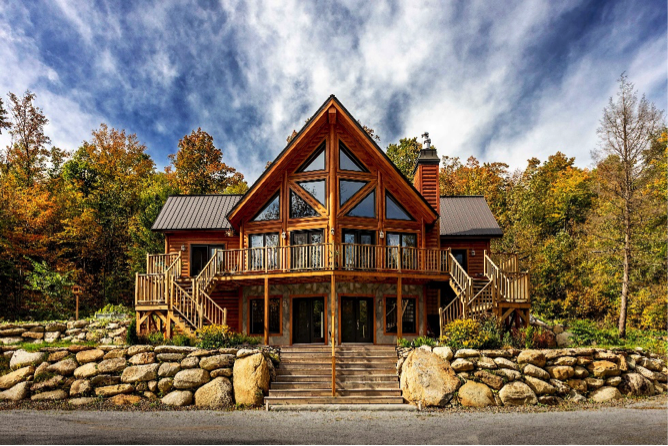 Utilizing a patented system building process, a Timber Block home consists of eastern white pine, which is cut, sanded and stained in a quality-controlled factory. The pieces of wood are then insulated with a closed cell polyurethane foam which results in an R-30 wall (R-36 available). The pieces are then bonded together under thousands of pounds of pressure and thru-bolted every 2 feet, creating panels that are easily flat-stacked. This efficient process allows the home to be delivered anywhere in the world, as many homes can be delivered on one truck – or container. And being part of the Holmes Approved Program means that these panels are inspected before leaving the factory. Once the panels are delivered on-site, the walls are assembled in just hours. The importance of energy efficiency is no question for today’s homeowner. Not only does an energy efficient home save you money, but it’s good for the environment and your health! A highly energy efficient home will be tightly sealed, allowing the homeowner to have more control over the indoor air quality. 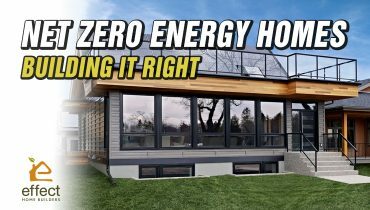 Part of the answer to a highly energy efficient home is the “R” factor. The “R” factor is a measurement of resistance to heat transfer through materials. The “R” factor calculation is about 1.25 inch of wood per “R”, depending on the type of wood. Using pine as an example, it’s about 1.35 inch per “R”. Using that example, on average, a square 6 inch “log” will be an approximate R-8. The higher the “R”, the more energy efficient your home is. 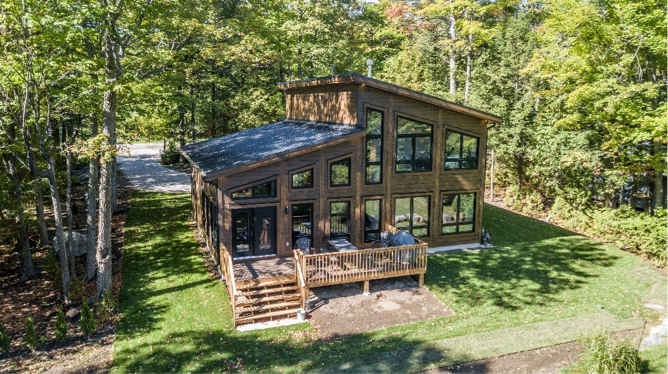 R-30 is standard in every Timber Block home, with R-36 as an option. A common location for air infiltration on a traditionally built home is around windows and doors. Through Timber Block’s manufacturing process, every single opening is properly sealed, which is later inspected for quality assurance. 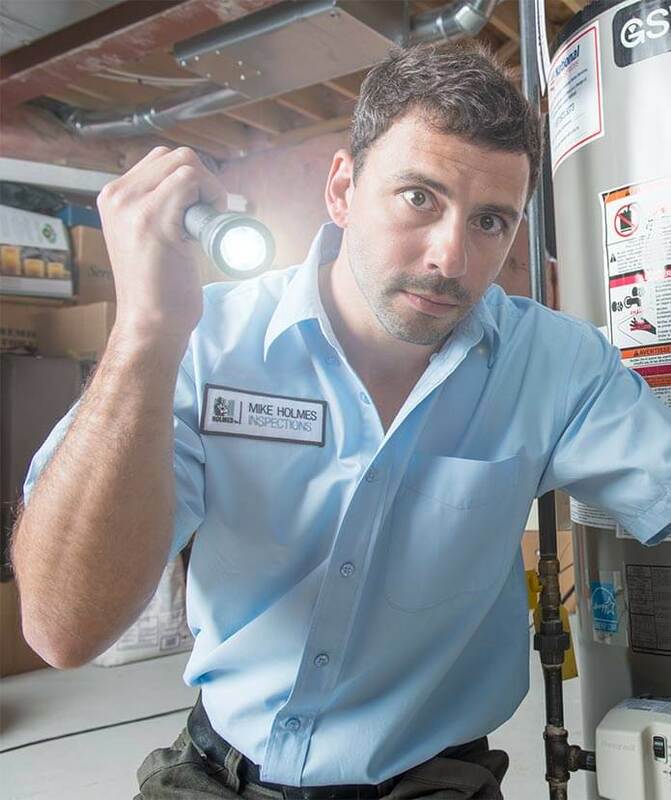 Heating, ventilation and air conditioning play a big part in the level of energy efficiency. 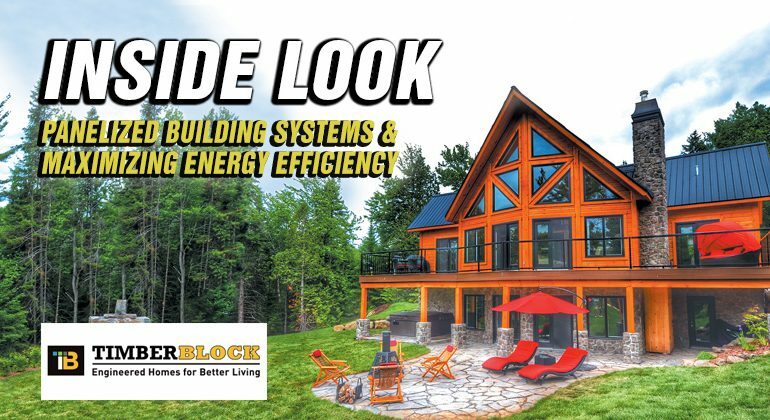 These considerations, along with Timber Block’s R-30/R-36 wall and tight thermal envelope will ensure your home is as energy efficient as possible! Plus, not only will you enjoy saving money on energy bills, you and your family will be breathing fresh healthy air at all times. 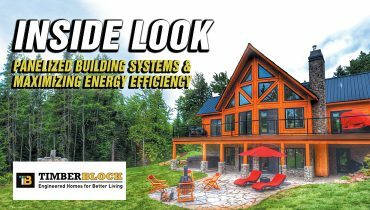 Timber Block is proud to be a Holmes Approved Builder, a Holmes Approved Home, and Holmes Approved Product. 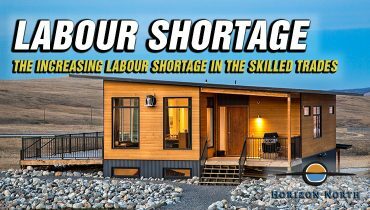 Timber Block is also pleased to announce the Mike Holmes Inspection Program will be integrated into every manufactured Timber Block home.